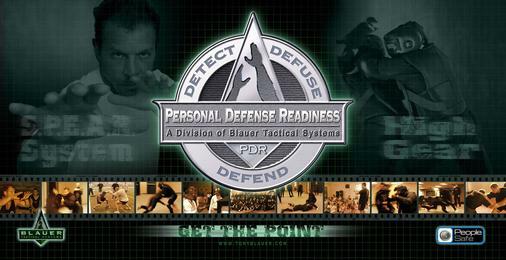 1st Response Personal Protection has been teaching people defensive tactics and personal protection strategies since it opened 2011. 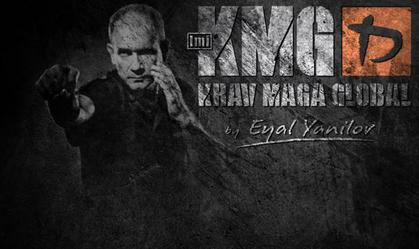 At the school we teach a combination of Israeli Krav Maga and the Tony Blauer PDR systems. Both systems are designed to be simple and easy to learn, enabling us to make you safer in a much shorter time frame than you would expect from a traditional Martial Art. Male or female, young or old; we can make you safer! Our classes cover not only the physical aspects of self defence, but also the psychological and emotional. UK law with regards to self-defence is examined and applied to each situation, as is the post-conflict process, giving you the best tools for your toolbox. Our teen classes are designed to equip teenagers from 13-16 with the tools they need to navigate the modern world, covering topics as diverse as anti-bullying, knife and edged weapon awareness and online safety. We hold free trial classes once a month where anyone can come and try our school with absolutely no obligation. Just fill in the form below to register your interest and we will be in contact to arrange a session. 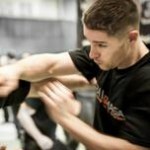 School owner Stephen Hollingdale has been training in Krav Maga since 2007 and completed the gruelling Krav Maga Global Instructor course in 2010. 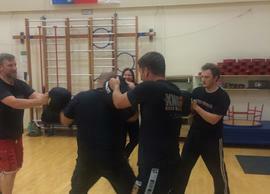 Stephen has since gone on to become a PDR Fundamentals coach and holds a Level III BTEC in Self Defense Instruction. First Response Personal Protection is a Krav Maga Global registered school and is listed with the British Combat Association.